Love that post! 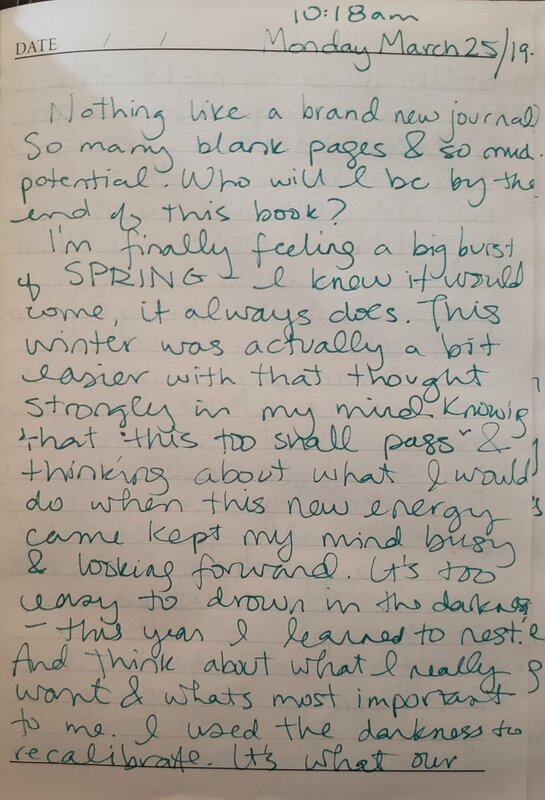 I was already starting to feel the spring energy and this was a nice boost and bit of motivation to make my own list. 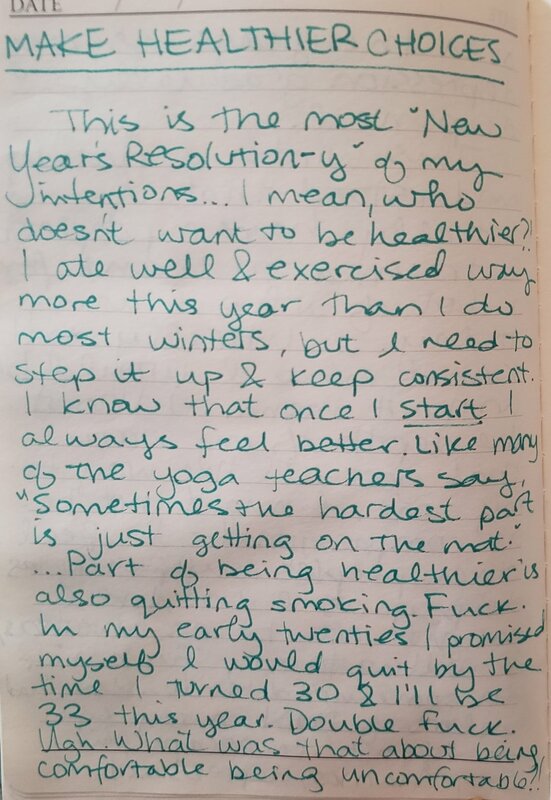 The following aren’t really concrete GOALS, but intentions that set the tone for what I want to accomplish this year. 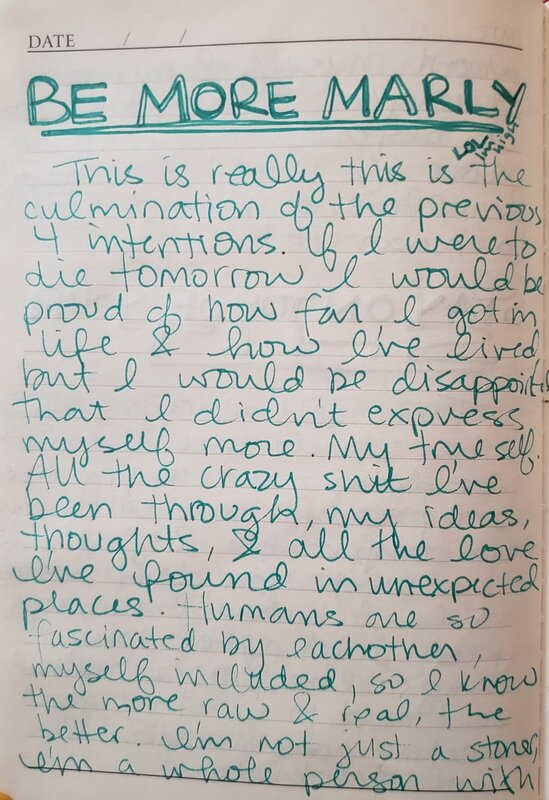 I’ve never posted photos of my journal before, but it felt like a good first step towards radical honesty - no editing, no censoring, this is just it. I always like getting honest feed back on my writing, but this time in addition to hearing what you think about the content, I’m wondering what you think about the format..
Is my writing too hard to read or do you enjoy the more personal feel? Genuinely wondering what you think about this! Anyways, happy reading & looking forward to chatting with you about it in the comments or DM’s!